For more information, download the full course description. 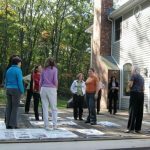 The School of Graceful Lifestyles™ offers a Feng Shui ReDesign Program that uniquely integrates the principles of Feng Shui and Green Design with Intentional Redesign and Home Showcasing. Your new design skills will add confidence and generate additional revenue streams. 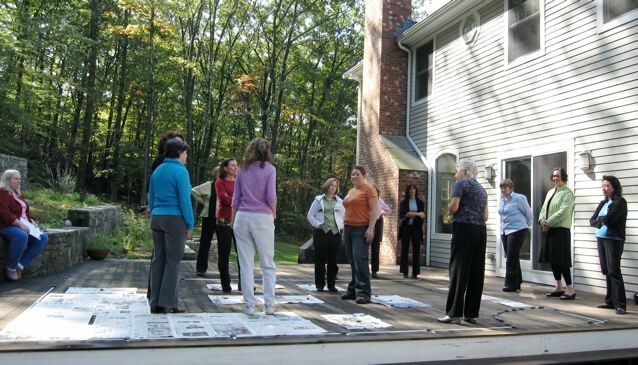 This program is ideal for the Feng Shui professional looking to enhance their business and will provide the tools to create a new career in the Interior Redesign market. Realtors will also benefit by introducing the Home Showcasing tips to their clients. Or simply use the basic decorating skills you will acquire in this course to craft a sophisticated and elegant home for your family. Patterned after the many popular makeover classes, you will be taught how to blend what’s already in the space with new design elements. The focus is on maximum impact with minimum cost. Incorporated in this five day program is a template that can be used again and again. Acquiring basic skills such as: palette selection, floor plan designs, furniture styles, vendor alliances, portfolio assembly, and successful business procedures will enrich the practice of each consultant. 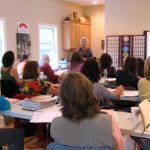 This course differs from other Redesign programs in that Graceful Lifestyles looks beyond the surface decorating into the very soul of the space. Feng Shui addresses the harmony and balance unique to each dwelling. You will create sacred spaces. Add another level of confidence. Align the person place connection through design. Align through design, the person-place connection. Take a deeper dive into the science of place and well-being. Use the basic Feng Shui Design skills to craft a sophisticated and harmonious home for your family. How to blend what’s already in the space with new design elements. The focus is on maximum impact with minimum cost. Portfolio assembly and successful business procedures will enrich the practice of each consultant. This course differs from other interior design programs in that Graceful Lifestyles™ looks beyond the surface decorating into the very soul of the space. Feng Shui addresses the harmony and balance unique to each dwelling. Upon completion of the program, you will be awarded a certificate and become certified as a Graceful Lifestyles™ Consultant. On March 25, 2007 ten IFSG members graduated from The School of Graceful Lifestyles Feng Shui Interior Redesign™ 5 Day Certificate Course. It was a success in more ways than one. Not only did Mary Dennis generously donate a substantial sum to the IFSG, but all attendees agreed that the course was valuable and career-enhancing. Let them speak for themselves! I was delighted to learn that, by following the template from The School of Graceful Lifestyles, I could design a room. I was also amazed at how simply, clearly, directly and compassionately Mary Dennis responds to client questions. A great model to follow. Thanks. I could not have predicted how terrific this program would be. Beyond the information – which is prodigious – your energy and teaching style made it a valuable and inspirational education, which is sure to accelerate both my professional and personal life. This program has given me a wealth of knowledge and interest to further pursue learning in designing interiors and in Feng Shui. I am eager to begin a new career and feel I have the continued support of Graceful Lifestyles and all the new colleagues I have met. The experience was wonderful. Mary Dennis is a blessing to my life and a true inspiration. 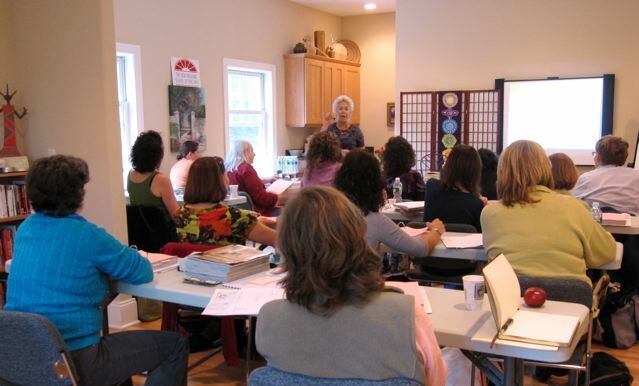 Mary Dennis thank you for a fabulous class that has married feng shui and interior redesign into a powerful tool for me to create incredibly healing homes for my clients. Thank you Mary Dennis for sharing your valuable experience in this fabulous ReDesign program. I know that my clients will benefit greatly from the practical experience and enhanced aesthetic training that I have received. Mary Dennis is a magnificent embodiment of Divine Chi! As a teacher, she gives from her heart, with crystal clarity. I am infinitely grateful for this experience. This course encompassed a tremendous amount of very useable material. I am excited about all that I have learned and the path of learning that will continue to move forward. Thank you Mary Dennis for the Feng Shui Redesign Course you have created. It is a dream come true for me. I have always wanted to learn design and with the added power of Feng Shui I believe I am now in a position to empower my clients in the most auspicious and beneficial way. Mary Dennis’s dynamic presentation and easy step by step guidance has turned me on for the first time into my passion for Design & Color. I am very grateful to the lifestyle re-design course that has empowered and propelled me into a new paradigm view of myself as a consultant. You will be certified as a Graceful Lifestyles™ Consultant upon completion of this five-day program. Use this form to pay the full amount for your class. Mix equal parts of love, professionalism, wisdom, experience and humor and you get Mary Dennis. What a deal, what a joy!! Thank you. Prior to attending your course I honestly thought I knew what I needed to do for my feng shui Interior Design Business, -Vision NU. I am so glad I took the opportunity to attend Graceful Lifestyles. This course has given me focus, insight to challenges and opportunities I would never have imagined experiencing. Your knowledge and wisdom has grounded me and my business. I for-see success no matter what comes my way. You are my light. Thank you. From the moment I meet Mary Dennis I knew I was in the presence of someone very special. I had an immediate resonance with her energy and her level of conscious awareness. In my early years of studying energy healing and feng shui, I use to put my focus on what I am going to learn from this class/teacher. In recent years my focus has been directed to how can this teacher/healer support my conscious awakening and further my development as a practitioner of the healing arts. I am no longer driven to the knowledge piece rather the vibration of the practitioner and how they can help raise my own vibration and Mary Dennis did just that. Right away you know you are in the presence of someone who is living the work she is teaching. She is direct and to the point and pushes you to be all that you can be, all that she knows you are capable of being, as she is not attached to your story. The growth I have attained in the short time I have know MD is remarkable. The 5 day Redesign program was all that I thought it would be and then some. Her manual for the class is so comprehensive you won’t need to purchase another Feng Shui book. 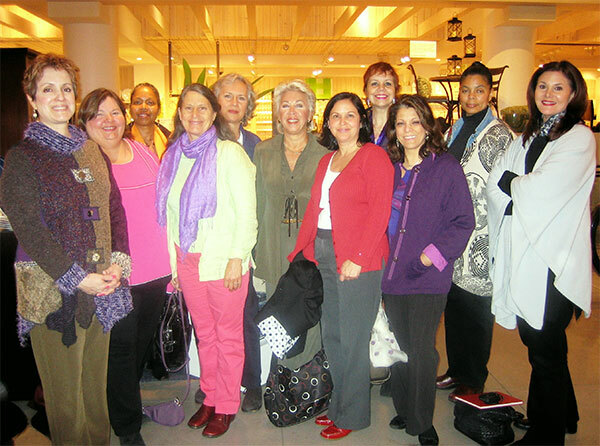 The class broke down barriers in my approach to Feng Shui and how I analyze and design a space. Mary invites you to step out of the box and take your practice to the next level. Her class is definitely worth the investment.